This is the first of two sketches done for note cards. 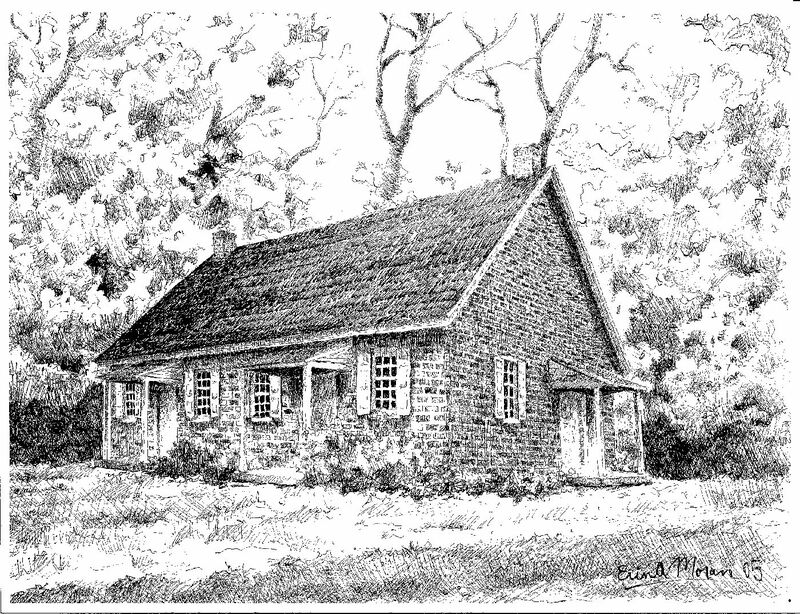 The note cards are on sale at the meetinghouse. This is the second of two sketches done for note cards..
A local real estate company commissioned this sketch and sent us a copy. Barclay Rubincam was a Chester County artist and a contemporary of Andrew Wyth. He was also a good Friend of Charles Barnard. 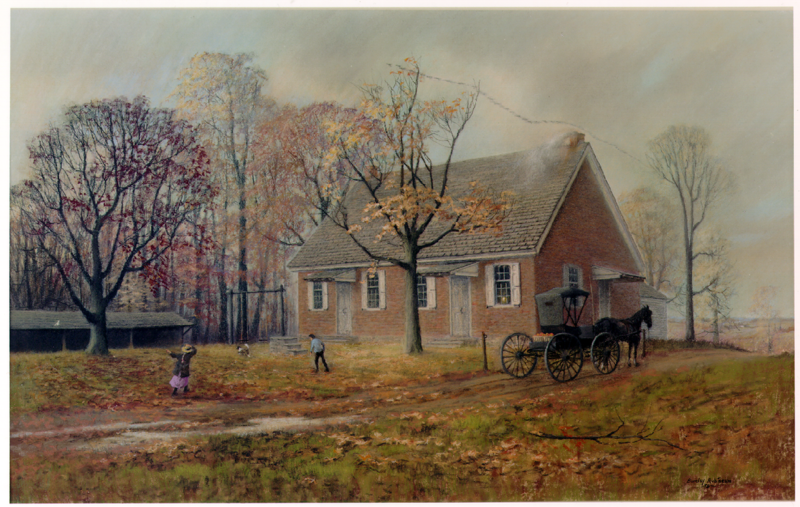 Charles Barnard was active in Marlborough Meeting and one of the few recorded ministers of Philadelphia Yearly Meeting. 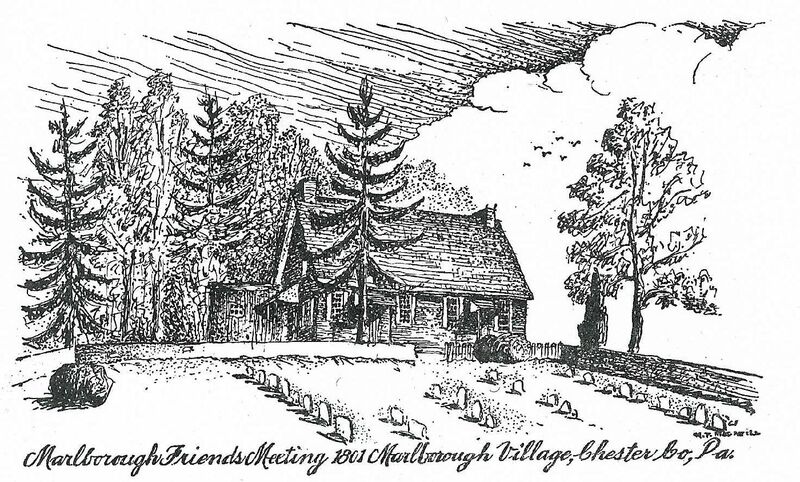 Charles commissioned Barclay to paint a picture of the Meeting House and this was the result. Barklay gave the picture to Charles. A member of the meeting is in possession of the original today.